Based on years of cutting plotter technology by GRAPHTEC, the GRAPHTEC SILHOUETTE CAMEO deliver professional style computer controlled cutting to the desktop. 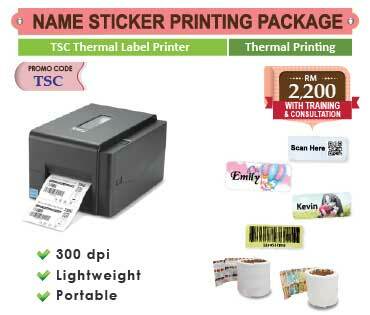 GRAPHTEC SILHOUETTE CAMEO cuts sticker and decal vinyls, masking film for painting or etching, vinyl lettering, decorative scrapbook papers, magnetic sheet, as well as all kinds of T-shirt heat transfer media like transfer paper, flex, flock for garments. GRAPHTEC SILHOUETTE CAMEO comes standard with GRAPHTEC's ARMS (Automatic Registration Mark Sensor) so that you can contour cut or die cut printed media in full color from your laser or inkjet printer. 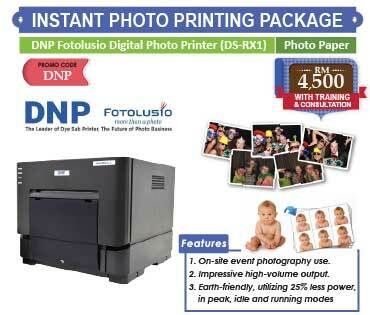 Silhouette Cameo has features typically only found on cutting plotters thousands of dollars more high-priced. 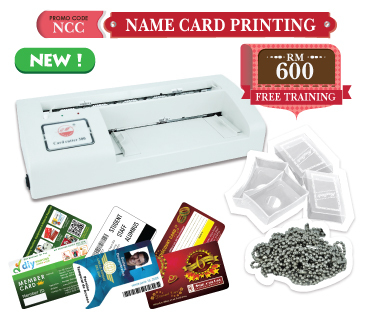 Our engineers have adapted these features to fit Silhouette Cameo's size and price, making Silhouette Cameo an excellent value, and the perfect entry level cutter for students, yet powerful and functional enough to satisfy professionals for small desktop sized jobs. 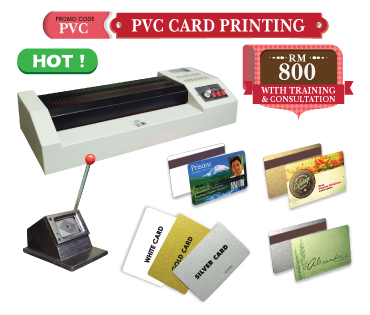 DIY Printing Supply Sdn Bhd always welcomes entrepreneurs like you to start or expand your printing businesses with us with variety of start-up business packages. 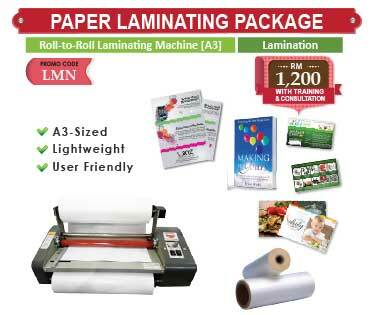 We supply all printing machineries, accessories, materials, paper & ink consumables at wholesale prices to suit your business needs. We provide you continuous technical & customer support to build sustainable long-term business relationship. 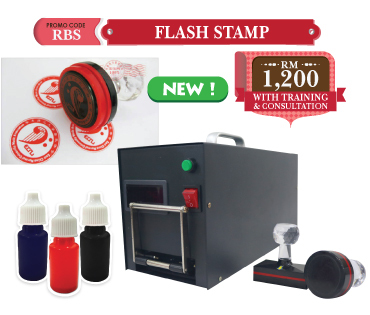 We provide comprehensive, intensive, interactive & practical tutorial training for you to kickstart your gift printing business. We technically support you through email, phone, SMS, skype, web etc.